Our largest investment strategy based on assets under management is our Dividend and Growth Plus strategy. I combine for our clients stocks that pay a modest but increasing dividend with stocks that have a high dividend yield, but less likely prospects to raise the dividend consistently over time. The combination provides our clients with a relatively high, and rising dividend stream that can be used for income, or reinvested for growth. I like the idea of stocks that pay us to hold them; it’s a way to add a “company match” to an IRA account. Below is one of our more popular holdings, Prospect Capital Corporation (PSEC). Shown is a price chart for the past twelve months. You can see that PSEC had a sudden drop in November of 2012. This turned out to be more frustrating than troubling, as the following month, (indicated by the yellow arrows) PSEC actually increased its dividend by 7.8%. Not the actions of a company in trouble as might have been indicated by the November price drop. Since that time the stock has apparently meandered along, while the stock market has risen over 10%. However, what the chart doesn’t show is that PSEC’s current dividend amounts to a 12.03% yield. Pretty healthy by today’s paltry interest rate standards. The stock also sports a lower than market Price to Earnings ratio (P/E) of only 8.49 based on projected 12 month earnings. These are the stocks we love, high yields and low valuations! The only question is, will earnings be stable enough to continue paying that high dividend? If recent results are any indication, the answer is a solid “yes”. The company just announced that their net investment income increased by 43%, year over year for the period ending June 30,2013. What does this mean to our clients? Not only is the current dividend “safe”, but PSEC also announced that they plan on increasing their dividend payout beginning in March of 2014. When our “high yielders” raise their dividends, we consider that a double bonus. For more information on how to derive high yields in a rising rate environment, please call the office for a free consultation. All opinions included in this material are as of August 22, 2013, and are subject to change. All investments involve risk (the amount of which may vary significantly) and investment recommendations will not always be profitable. Past performance does not guarantee future results. 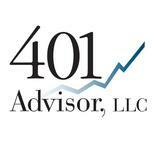 401 Advisor, LLC currently holds shares of PSEC in client accounts and is likely to add to those positions over the next 30 days.